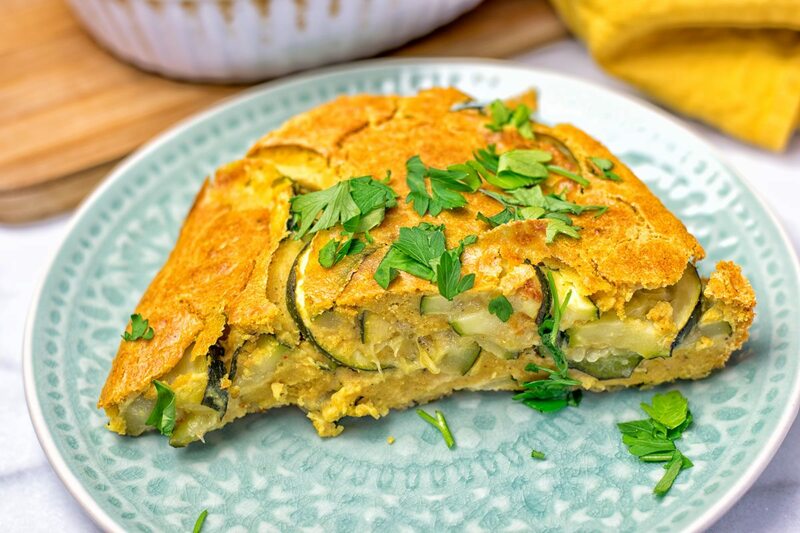 This Dairy-Free Zucchini Frittata is everything you need for breakfast, lunch. or even dinner. 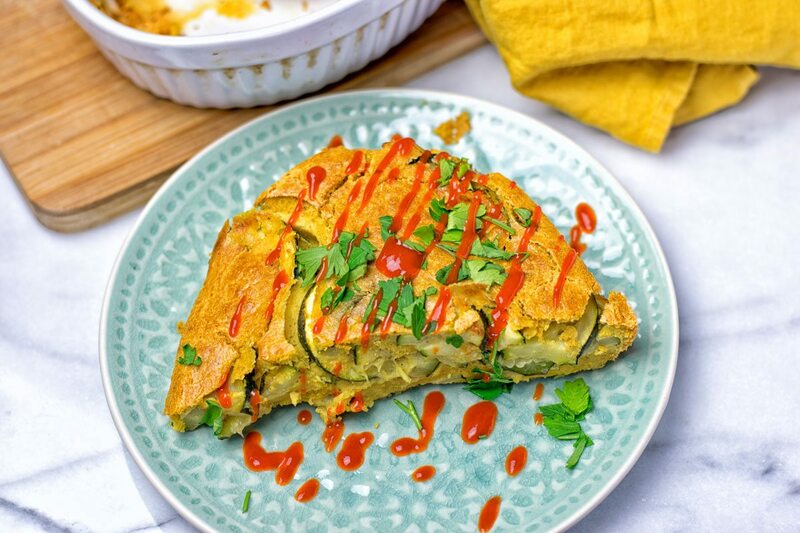 Made with chickpea flour, it’s vegan, gluten free, and just insanely delicious. I still remember vividly those pre vegan days, when I stayed at a hotel and there were sometimes very extensive breakfast buffets. One that really stuck in my mind was one, in which they had a lot of beautiful plates around the corner. And something that quickly became one of my favorites: a frittata. They were so many variations. Sometimes, they came with cheese, sausage, ground beef. Yes a lot of flavors to choose. 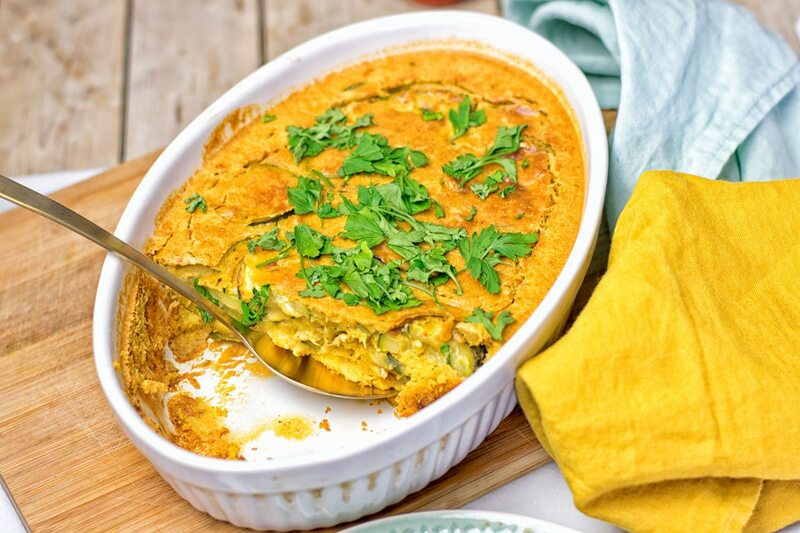 But with having turned to plant-based eating, it became tough to jump onto that frittata wagon. Almost every single one includes milk, melted butter, cheese, and all that stuff. That’s why it’s definitely been a really long time since I last had something like that on my breakfast table. Instead I enjoyed my other breakfast recipes, like my Breakfast Bowl [vegan, gluten free], the Banana Bread Brownies, or the Everyday Quinoa Breakfast Bowl. Still I felt it was high time to recreate a frittata version that everyone could enjoy. No matter vegan, vegetarian, or meat lovers. Trust me, friends, this will be your new staple which you can bring on almost every brunch or potluck table. 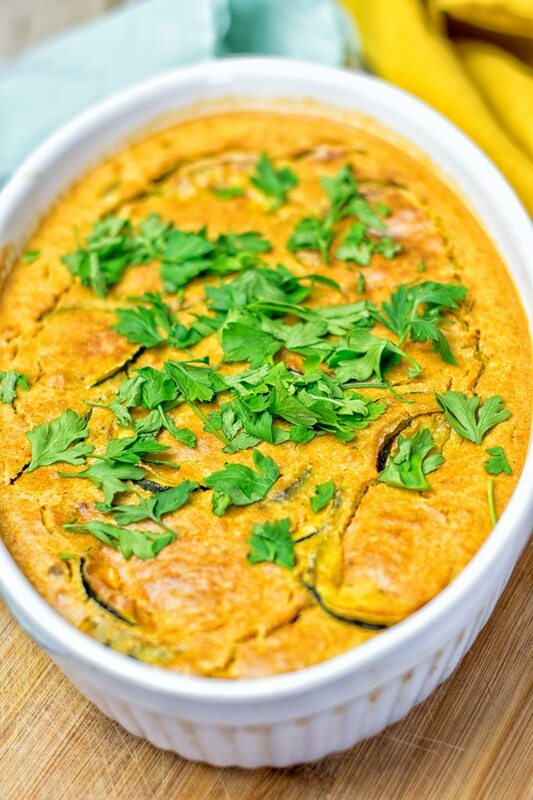 Get ready for all that many options with this Dairy-Free Zucchini Frittata. It is easy, mouthwatering, drool-worthy, addicting, fresh, full of incredible flavors, shareable, crowd pleasing. In short: you need this in your life. Let’s now get straight to making it. It’s so easy: First, heat a sauce pan with a bit of oil or for oil free cooking just vegetable broth. Fry the zucchini slices for around 3 minutes, then add the garlic, and cook again for 3 minutes. Set aside. Next: Take a bowl and combine chickpea flour, water, tahini, and nutritional yeast. Whisk until all is well mixed, then add the tandoori spice mix. Just a bit of chili powder, turmeric, and curry. Season with salt and pepper. Now hop over to a casserole dish prepared with parchment paper or a bit of oil. Put the zucchini mix in the dish and then cover all with the chickpea mixture. Bake for around 30 minutes at 405°F. Summertime is meant for going out and to enjoy this beautiful weather. The smell, the sounds, the atmosphere. All so relaxed. You might probably enjoy beaches, having a good time at potlucks or BBQs. So many things to explore during this time. 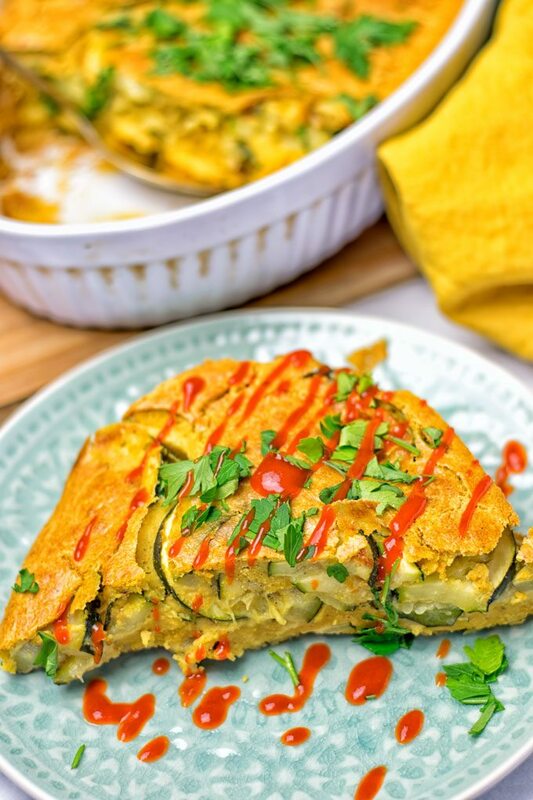 To get in to the full summer mode and keep the vibes running high, this Dairy-Free Zucchini Frittata will always hit the spot. No matter if you’re into long chill nights, picnics, or other things. 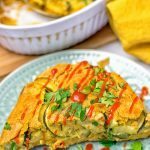 If you need more inspiration and ideas what amazing things besides this Frittata you can explore this summer, get it here: “55 Ways to Have the Best Summer Ever“. Try it and tag me on Instagram and Facebook, show me all your amazing remakes. Yes I love to see them! Say hello, see you soon, Florian. Heat a sauce pan with a bit of oil or for oil free cooking just vegetable broth. Fry the zucchini slices for around 3 minutes, then add the garlic, and cook again for 3 minutes. Set aside. Take a bowl and combine chickpea flour, water, tahini, and nutritional yeast. Whisk until all is well mixed, then add the tandoori spice mix. Just a bit of chili powder, turmeric, and curry. Season with salt and pepper. Prepare a casserole dish with parchment paper or a bit of oil. Put the zucchini mix in the dish and then cover all with the chickpea mixture. Bake for around 30 minutes at 405°F. A delicious pie here. 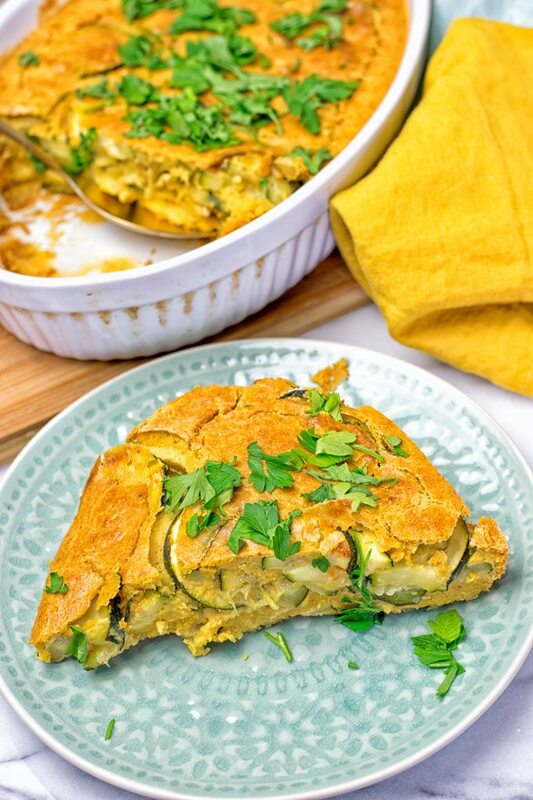 So filling and nutritious, it’s very handy for lunches or picnics too.